Below are the results for both the B and C division. 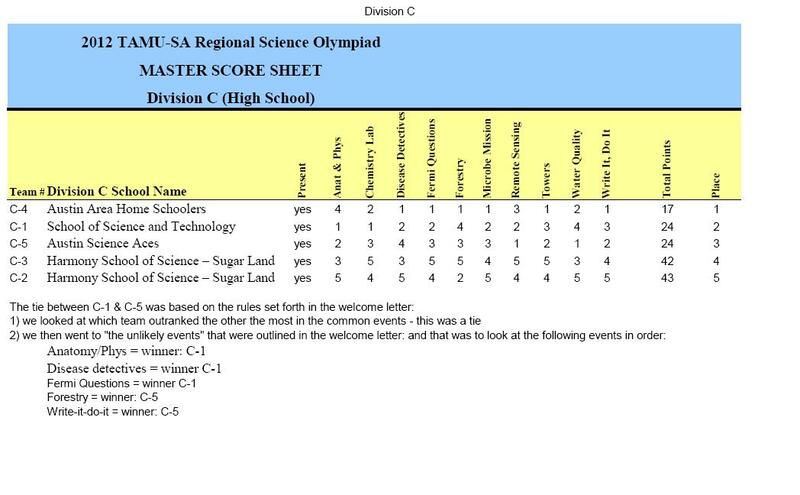 First and Second place teams will automatically be qualified for the State competition. If your team earned third place you will get a call from the State Director if you qualify. Thank you everyone for participating in our event this year! It was the largest regional tournament we've had so far, and we sincerely appreciate all of the event coordinators, coaches, and students who made it such a success! We'll see you next year! 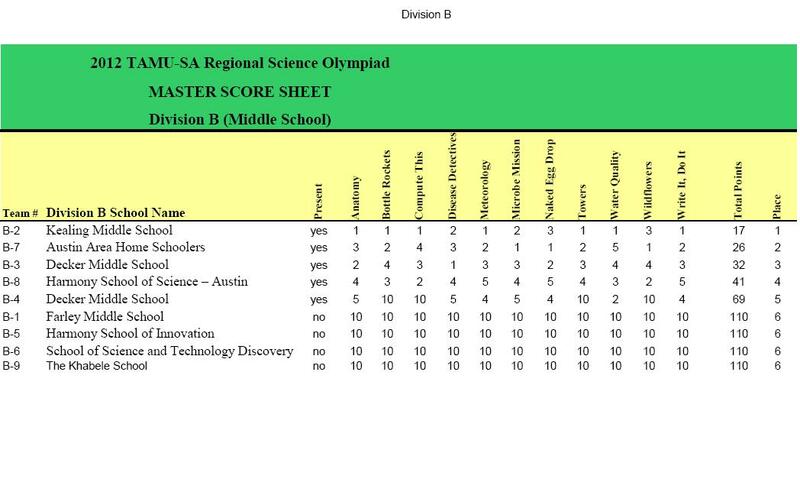 THANK YOU TEAMS FOR A WONDERFUL SCIENCE OLYMPIAD 2012!! !